A novel stimulation therapy restores the natural motor function of the digestive system for patients with acute gastrointestinal dysmotility (GID). The E-Motion Medical (Tel Aviv, Israel) E-Motion System is designed to deliver unique patterns of electrical stimulation to the esophagus using a proprietary disposable feeding tube placed by nursing staff, similar to a nasogastric feeding tube. By accurately sequencing of the electrical stimulation, contractions are generated in a pattern imitating natural esophageal swallowing motions, promoting motility throughout the gastrointestinal (GI) tract, preventing reflux, improving digestion, and restoring gastric emptying. 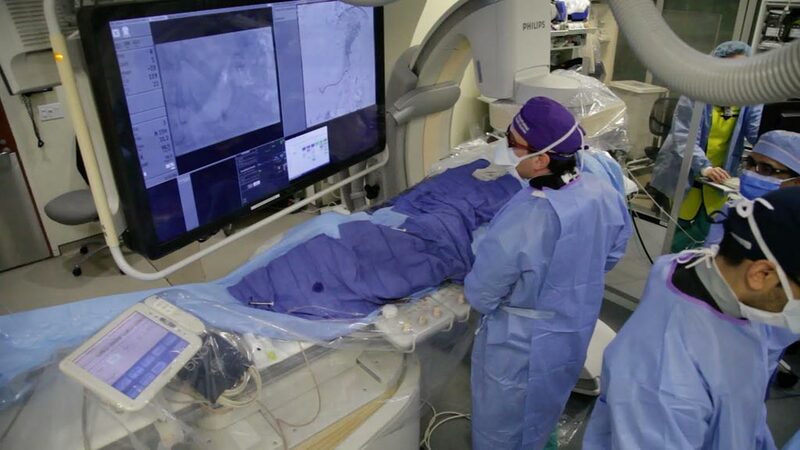 Image: The E-Motion EPG 1000, and Tube (Photo courtesy of E-Motion Medical). 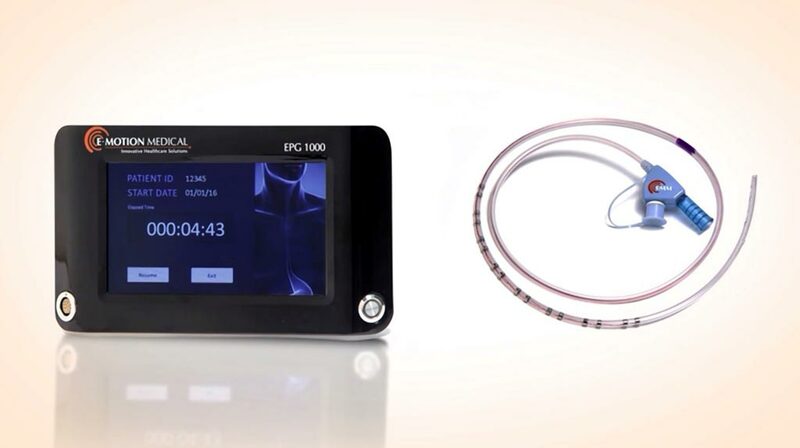 The system is comprised of the E-Motion Tube, a disposable oro/nasogastric feeding tube fitted with stainless steel electrodes along its length that delivers the stimulation to the esophageal mucosa, and the E-motion EPG 1000, a durable, touchscreen operated, bedside control unit that generates the electric stimulation pattern and sends it via the feeding tube to various locations along the esophagus. Asynchronous esophageal motion is thus induced, reducing reflux and increasing GI motility, enabling safer and better feeding. Acute GID manifests as reduction in, or lack of, motility in the digestive system, and is common in neurological, trauma, surgical, geriatric and also severe diabetic patients. In addition, gut motility has been shown to correlate to other physical functions in the body, including that of the diaphragm and the lungs, as well as other systems required for patient recovery.